This one goes out to fellow Torontonians! 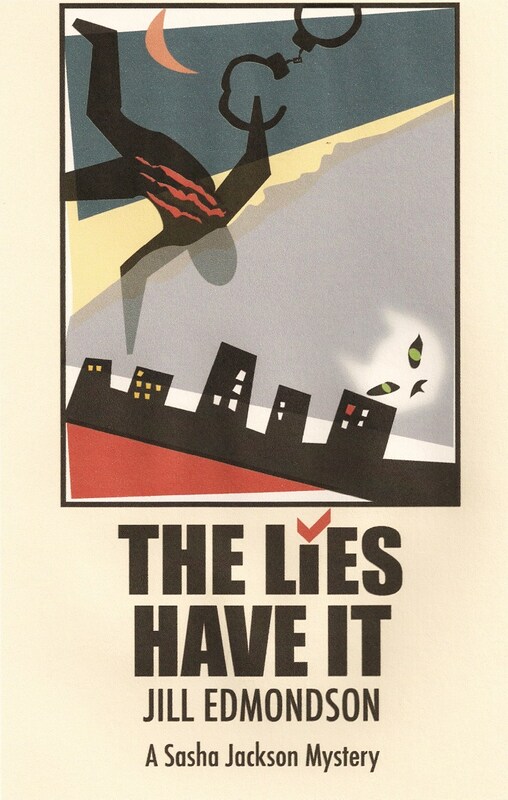 In my latest novel, called THE LIES HAVE IT (published Nov. 2011), P.I. Sasha Jackson is investigating a murder set against the backdrop of a Toronto Mayoral election. Remember, it's a novel... it's fiction!!!!! But if you know the city at all, and follow local news, you'll have no trouble identifying the inspirations for some of the characters. I’m neutral on, or in agreement with, most of Rocco’s political platforms, with the exception of his idea of building a tunnel to downtown, which was exponentially stupid. But I have to say, his Tony Soprano styled ad campaign is a bit creepy, and more than a little ill-advised. His Godfather ads seemed to offend many Italians and to alienate other voters, pretty much guaranteeing that Rocco should just fuhgeddaboudit and drop out of the race. I got off at Lawrence station, and walked two blocks to the residence of Robin Stanhope. This mostly white and affluent part of the city had fewer election signs on the lawns than in Lisa’s ’hood. Of those who used their front yards to expose their political leanings, very few were in favour of the Italian Stallion. The signs around here seemed evenly split between Cooperman, the political gadfly whose only consistency was his tendency to flip-flop – depending on which direction the wind was blowing – and Shane’s fave, Nealson, the guy whose run for City Hall seemed preordained, if not quite a slam dunk. Fortunately, there were almost no signs for the three-hundred-pound, donut-snarfing, sub-literate, right-wing troglodyte – the only candidate whose victory would make me want to self-immolate in front of a library. The tables in Pastiche had been rearranged for tonight’s political photo-op and cash grab. We were seated in groups of eight. Lindsey and I were knocking elbows with three campaign volunteers, plus one of Nealson’s paid sycophants and the toady’s wife. The only empty seat at our table was the one that was meant for Dad. I kind of wished that I’d come up with a migraine excuse before him. The evening promised to be long and painful, and I’d likely have a real migraine by the end of it. The dinner conversation thus far felt like something between a live-action infomercial or the beatification ceremony for Tim Nealson. He actually seemed like an okay guy, and was rather handsome. Nealson had a firm jaw, sandy-brown hair with a slight wave to it, and was average height and build. It wasn’t so much his looks one noticed, as the way in which he carried himself. He came across as confident and open, and his smile seemed genuine. His campaign slogan should have been He Even Looks Like A Mayor. At least the folks at central casting would think so. Nealson had come around to all the tables and thanked people for their support. We had just finished our appetizers, and had four more courses and probably as many mind-numbing speeches to get through. Unfortunately, I was still stone cold sober. “How does your current case connect with this event anyway?” Lindsey asked discreetly. I’d been hurried getting ready. My hair was loose and tousled. It was too damp outside to even try styling it. I was in a plain violet sleeveless dress. It was simple, but fit me perfectly, and looked great with the amethyst pendant and matching earrings I was wearing. I wished Derek could have seen me. On most of our dates, other than the first one, we’d done something casual, so he hasn’t yet really seen me all gussied up. Of course, I think he’s perfectly happy to see me naked, which is how our dates usually end up. Lindsey looked pretty hot herself. She has sunset skin and long, black hair, which were both set off nicely by the harvest yellow D&G suit she was wearing.